Kareena is currently among the top actresses that have succeeded in movies. Karisma, speaking to Kareena on her radio show What Women Want, said: "Today, you are my role model. We are in the same profession and the kind of strength we offer to each other is amazing. 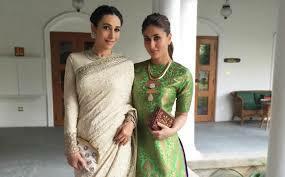 Actress Karisma considers her younger sister Kareena Kapoor to be her role model. The glamorous sisters sat down for a tete-a-tete with each other for Kareena's radio show, Ishq 104.8 FM's 'What Women Want with Kareena Kapoor Khan'.